"It's very hard in the beginning to understand that the whole idea is not to beat the other runners. Eventually you learn that the competition is against the little voice inside you that wants to quit." George Sheehan; Cathy, "Is this Ski Tip Lodge?" Shamrock Shake, "No...this is a bus stop." Running has awakened my self-respect and confidence, not because I’ll ever be fast, but because I choose not to quit when it’s hard. 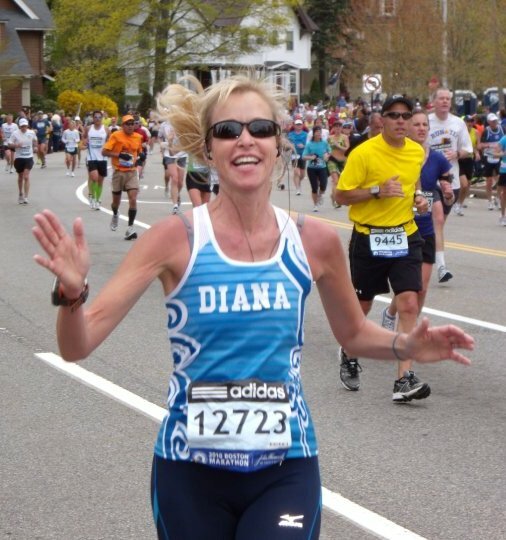 All of my 12 marathons have made a best marathon memory. Each one is like a child – you love them for their uniqueness, for the joy they bring to your life, for the lessons they make you learn, and for what they teach you about life. I pace because I want to help others reach their running goals. 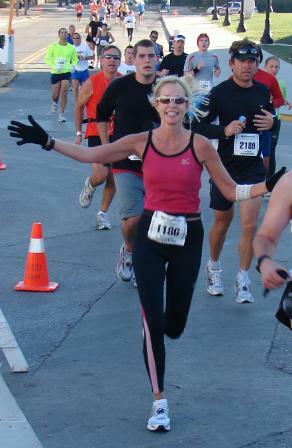 Running makes me be a very social person and I especially enjoy seeing others enjoy the running experience. We’re going to have a lot of fun running the Canton ½ marathon! 1. They’ll accomplish their goal if they stick with me! 2. They’ll have a fabulous good time accomplishing their goal! 3. They will fall even more in love with running and being fit for the rest of their life! Be prepared to have fun! Be prepared to meet your goal! Be prepared to be totally in love with the half marathon! I am a mother of 4 plus 3 inlaw children. I am Nana to 2 little ones and soon to be a 3rd in September! This summer I will be married to my husband for 30 years. I am a Registered Nurse and I am a full time student at Malone University and have had the unique opportunity to run Cross Country and Track at Malone at the age of 52. Love being a buddy for my young friend, Claire, for Girls on the Run 5k!